When someone says neon lights I usually think of Las Vegas, American highway motels, gas stations, red light district, kitsch, carnival… I could go on listing all the low-brow things that come to mind. One thing that so far wouldn’t really occur to me is a neon light installation in my living room. But something changed after seeing the latest exhibition by LAMBA Neon. Jordanian artist and design connoisseur Hana Ghawi founded LAMBA (Arabic for lightbulb) two years ago. 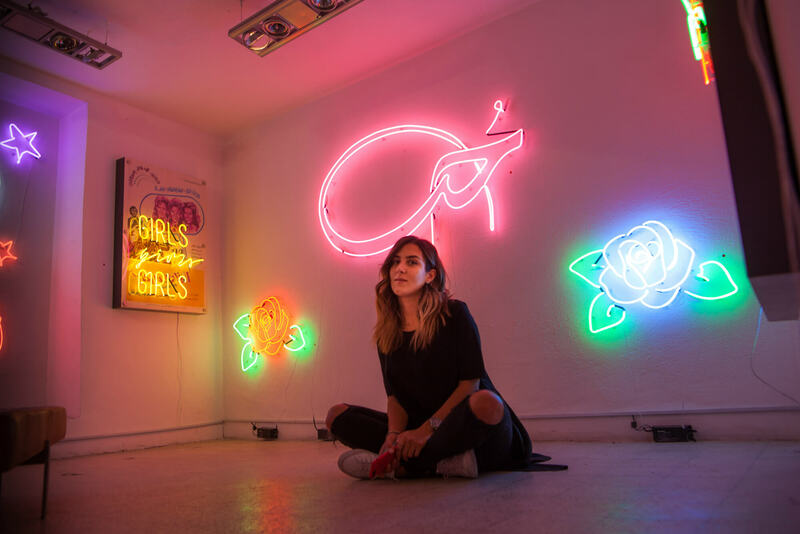 With this project, she re-invents the stereotypical basic neon lighting into art pieces designed to add an essence of pop and light to any space, indoor or out. The neon installations are whimsical and tasteful, just like Hana’s vibe. Every design is a perfect compliment to any stylish home. 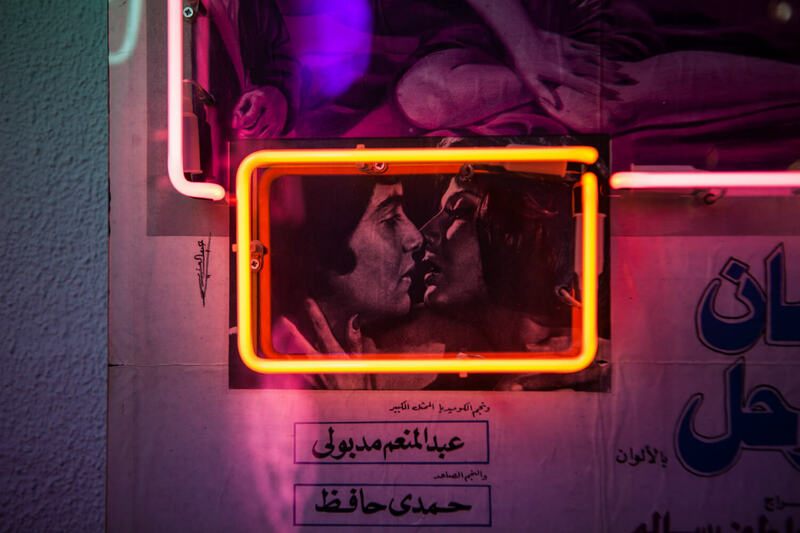 I sit down with the Hana to discuss LAMBA neon, her latest exhibition on romantic love and her ultimate dream to light up the Jordanian desert with neon lights. WT: Hana, congrats on the success of your latest success during Amman Design Week. Can you tell us more about why you chose neon art as your creative medium? 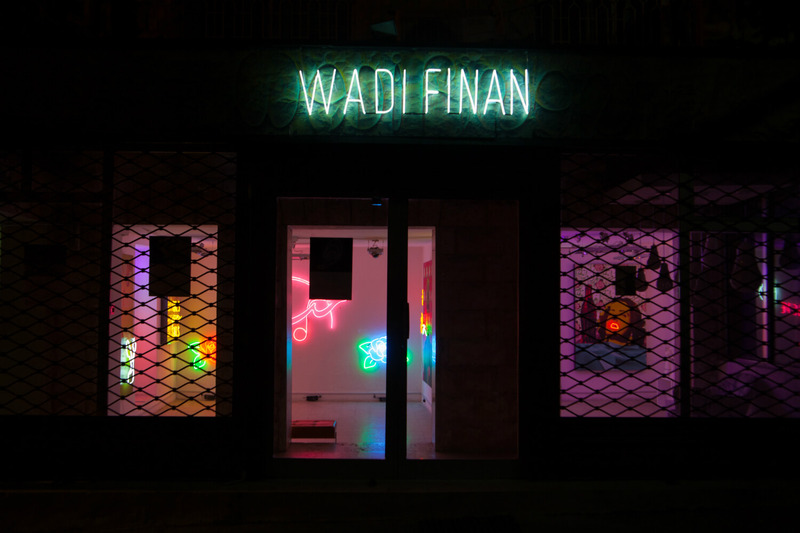 Hana: After moving back from New York to Amman, I realised the potential of neon as art. 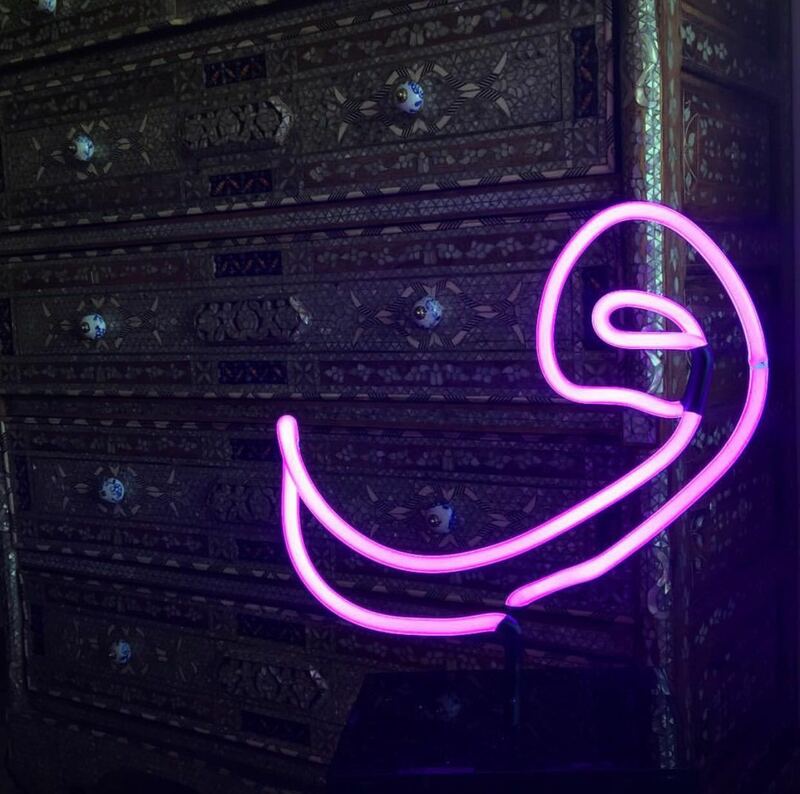 In Jordan, neon lights were merely used as signage for stores; I wanted to change the fact that they were only used for ‘practical’ purposes so to speak and turn them into art. What about this kind of art do you find unique? Juxtaposing old traditional elements with neon lights that are usually associated with low budget signage in Down Town Amman, is what I find really exciting and unique. Re-contextualizing a medium and challenging the perception of neon is at the core of what LAMBA does. 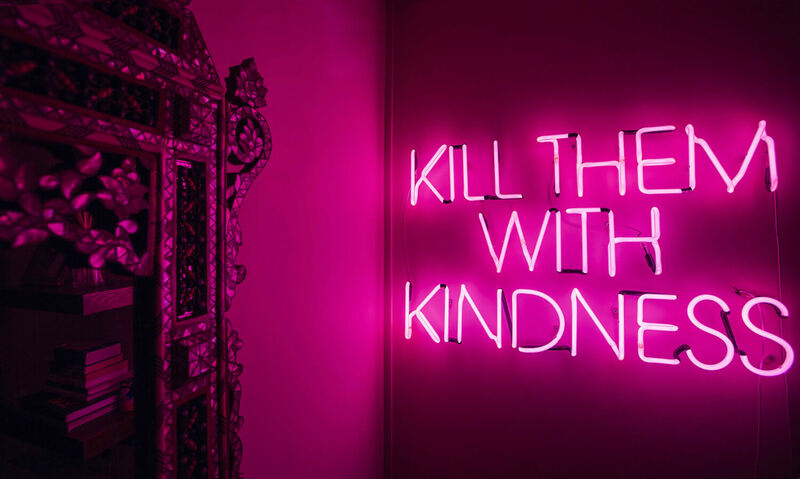 Neon art has been quite popular nowadays; we see it in stores, photography, and homes. As an artist, can you describe where and how you would like to see LAMBA? I love seeing my art in homes. When I first started LAMBA, I wanted people to shift their perspectives into seeing neon as an art medium and not just something for store or street signage. Seeing that people now like to see this form of art in homes is really exciting. 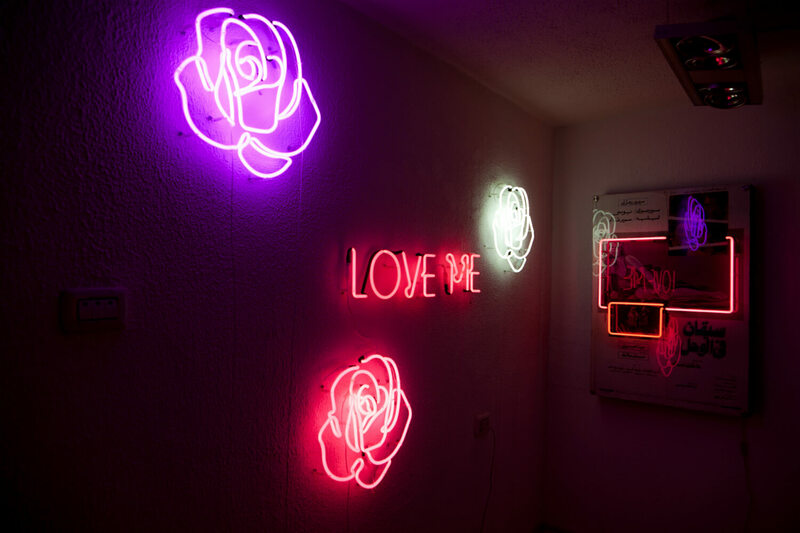 Your latest exhibition combined neon lights with the theme of romantic love, how did that idea come about? Love can be explored and understood in many different ways and I thought, ‘how can I explore LOVE in different ways using neon?’ I used a variety of different mediums along with neon to exhibit a kitschy and eclectic take on the different aspects of love. I used mixed media digital posters, original vintage movie posters, Arabic calligraphy fonts, emojis, and English phrases to come up with a collection of pieces that are diverse yet all relay one underlying theme. 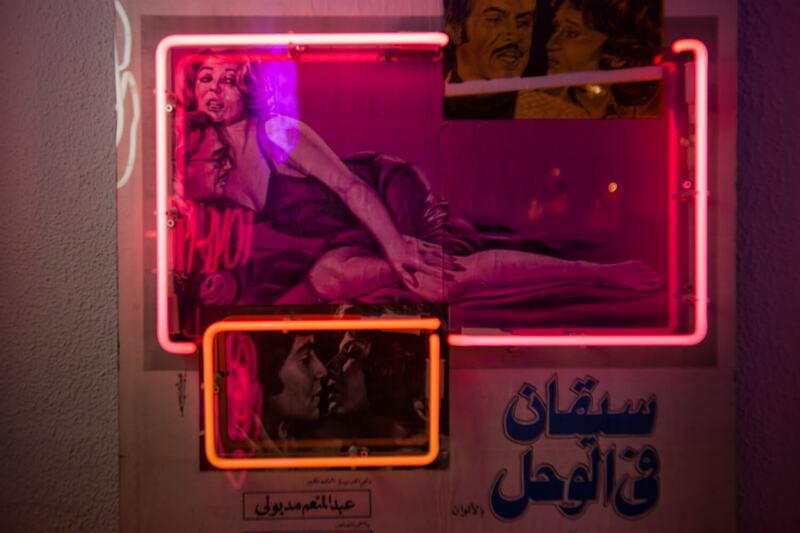 I loved how you used old Egyptian movie posters in your exhibition, can you tell me more about this? Old Egyptian movie posters always intrigued me. They were always hand painted and they were very provocative, which we don’t see nowadays. It fascinates me how open-minded the Arab world was back in the day compared to nowadays. 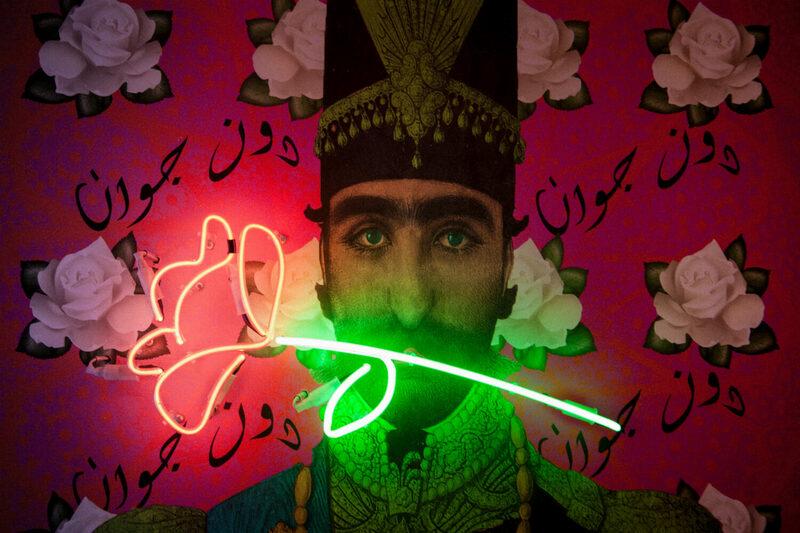 I love mixing traditional mediums with neon as the neon uplifts it and brings the medium back to life. How would you describe the spirit of LAMBA? After a short moment of silence for all the broken hearts… (pauses) …please tell me who is your typical customer? I don’t have a typical customer but usually my customers want to add a touch of pop and light into their spaces and so they approach LAMBA. What about your perfect customer, who would that be? My perfect customer is someone who can mix the classical with the pop. Someone who wants to add a modern accent to a somewhat classic home. I love re-energizing the space! What can you tell us about your future plans with your neon lights? I would love to be part of an international art fair! 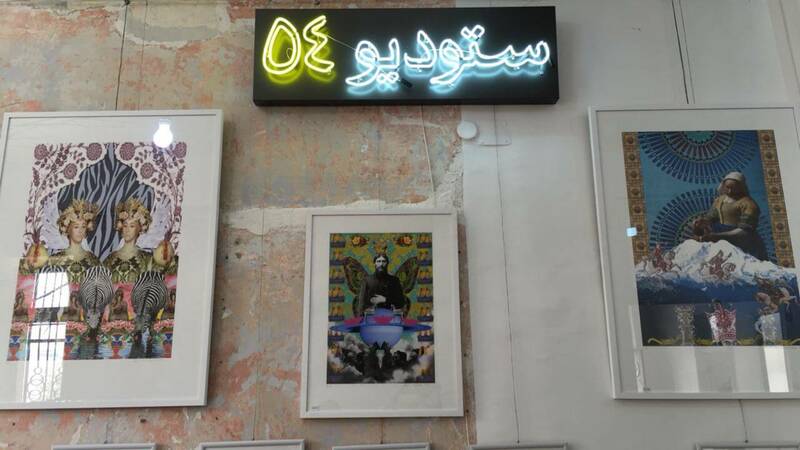 I was part of a participating space—Wadi Finan Art Gallery—during Amman Design Week this year, and I would like to be part of other international art fairs in the future. I also love collaborating with local and regional artists, so part of my future plan is to continue doing that. Oh and last but not least, I would love to install a HUGE piece in Wadi Rum [editor’s note: the largest desert valley in Jordan]! That would be a dream come true. Amazing, I’d love to see some neon art against the sandy hills in Wadi Rum. Thanks Hana for the fun chat and I hope to see more of LAMBA around town. For more info on where to order LAMBA visit their website. 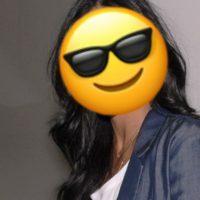 Ay Laylay is our undercover WITNESS based between Berlin & the Middle East. She’s worked as a consultant in Digital Marketing for tech companies that focus on the arts. Musing over cool projects feeds her creative energy which she translates into her daily life and relationships.